There have been many different theories around AIDS, some of them bizarre, but here James Chin returns to a very old one; AIDS is not a threat to the heterosexual population. Chin is an epidemiologist and bases all his arguments on a narrow reading of the HIV/AIDS statistics. He seems to want to turn back the clock to when we talked only of �risk groups�.� There is no political, cultural, social or psychological elements in Chin�s arguments, which leaves this book very one sided. Between 1987 and 1992 Chin worked for the World Health Organisation (WHO) on HIV/AIDS surveillance, until he abruptly resigned over what appears to have been a personality clash. This book seems to be an attempt at settling his old scores with WHO. Throughout there is a relentless attack on WHO�s HIV/AIDS programs, the main argument being that WHO is wrong in saying that AIDS will effect the general population because, Chin claims, they have overestimated the figures. The style used here is the first person; while appropriate for a biography it does not enhance an academic work. It only shows the one-sided nature of Chin�s arguments, and highlights the lack of depth to them. There is little analysing here, only Chin�s singular view. This book does show the dangers of using only one discipline to tackle a complex problem and the narrow findings this can give. 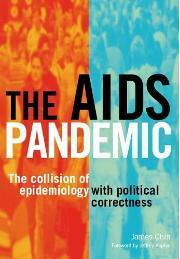 All this book offers is number crunching and re-hashing a very old argument, HIV/AIDS prevention is far more then that.